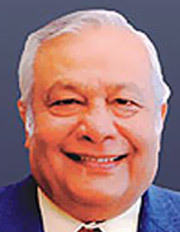 Dr. Devendra Saxena, after a successful stint of ten years in the US, came to India and helped establish cardiac surgery centres at Bombay Hospital and St George’s Hospital, Mumbai, SMS Medical College Hospital, Jaipur, Super Speciality Hospital, Nagpur and SSRN Hospital, Mauritius. He is currently head of cardiac surgery at Bombay Hospital, a position he has held for the last two decades. He was appointed Surgeon Commodore in the Armed Forces Medical Services by the erstwhile President of India, APJ Abdul Kalam. He was also conferred “COMMANDER OF THE ORDER OF THE STAR AND KEY OF THE INDIAN OCEAN” by the President of Mauritius, H.E. Sir Anerood Jugnauth. Dr. Manoj Bharucha is an alumnus of Seth G S Medical College and KEM Hospital, Mumbai. He is a specialist gastrointestinal surgeon whose repertoire extends across conventional, laparoscopic, endoscopic and cancer surgery of the gastrointestinal tract. He holds a GI Fellowship in advanced laparoscopic surgery and gastrointestinal stapling from Mount Sinai Hospital, New York. Dr. Manoj Bharucha is currently Consultant Gastrointestinal Surgeon at Lilavati Hospital and Medical Research Centre, and Criticare Hospital, Mumbai. He is also a visiting consultant at Breach Candy Hospital, Mumbai and Cumballa Hill Hospital, Mumbai. 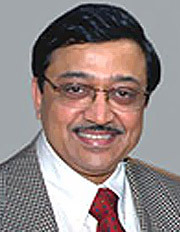 Dr. Anand Nande is an alumnus of Grant Medical College, Mumbai. He is a specialist in Hepatobiliarypancreatic Surgery, Laparoscopic Surgery and Therapeutic Endoscopy. 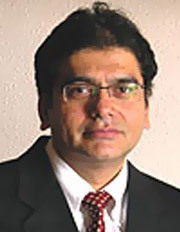 Dr Nande is currently Consultant Surgeon and Associate Professor of Surgery in Bombay Hospital and Institute of Medical Sciences and Post-Graduate Studies, Mumbai. He is a consultant surgeon at Shrikhande Clinic, Mumbai and Shushrusha Hospital, Dadar and a visiting consultant with Kamat Nursing Home, Madgaon, Goa and Hedgewar Rugnalaya, Aurangabad. aspects of microbiology and surgery.